The Norwegian capital city of Oslo is also the home of the country’s largest airport, Oslo International Airport. Norway, in particular Oslo, is notoriously expensive to travel in, with even budget travelers shelling out $60 per day or more. Tourism in Norway peaks during the summer, though their are brief bumps during the winter in response to skiing and the Northern Lights. Temperatures during the Norwegian summer are quite pleasant, typically between 24˚C and 30˚C (75-85ºF). However, temperatures plummet in the winter, remaining well below freezing throughout the season. One of the most popular Norwegian souvenirs is little statuettes of trolls, though viking hats and other handmade crafts are also commonly purchased. 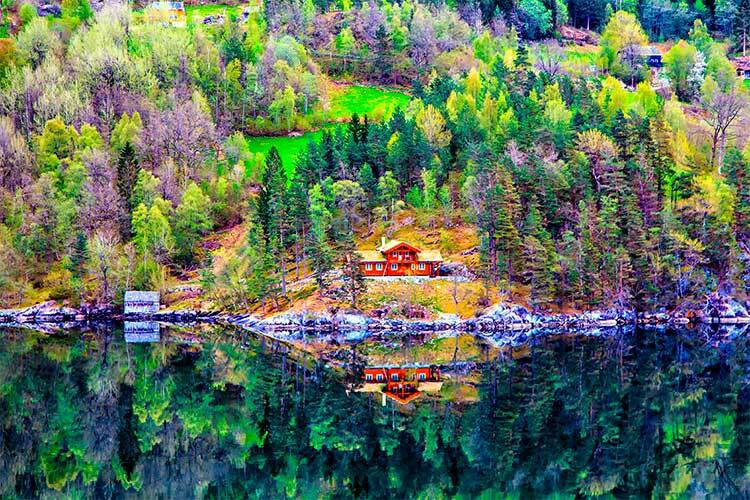 Found on the northwestern edge of the Scandinavian Peninsula, Norway is country of extreme, if harsh beauty. In terms of distance from the equator, Norway is equivalent to the likes of Alaska, northern Canada and Greenland, which means that the country is extremely cold through much of the year. However, travelers who are properly prepared for the weather tend to find the country an open, gorgeous wonderland. Norway also has a fascinating history and is generally considered one of the oldest continuously run monarchies in the world. What’s more, travelers are attracted to Norway due to the country’s high quality of life. Norway is consistently rated the most democratic country in the world, and its human development index scores quite highly. Norway also consistently ranks in the top five countries for highest GDP. These facts have allowed Norway to develop a reputation as safe, clean and pleasant to visit, albeit quite expensive. Early Norwegian history features a handful of different hunter-gatherer groups, who inhabited the country’s extensive coastline some 12,000 years ago. Around 3000 BCE, an agrarian society, the Corded Ware culture, migrated to the area. Their influence slowly engulfed Norway and turned the country into a society primarily composed of farmers. For the next several thousand years, Norwegian influence on history was relatively limited. The country played a small part in the splitting of the Roman Empire, but it wasn’t until the Vikings began raiding southern Europe in the late 8th century that Norway began to influence other parts of the world. The Vikings were famously explorers, said to have reached the Middle East, Central Asia and even North America during their heyday. Towards the end of the Viking Era, Norway saw Harold Fairhair rise to power. His defeat of the numerous regional lords in Norway saw the country unified for the first time. His son, Olaf II, is considered responsible for initiating the replacement of traditional Norse customs with Christianity, which ultimately led to the end of the Viking Age. Norway quickly spread its influence throughout Europe, becoming one of the most powerful kingdoms of the Middle Ages. However, the Black Death and political tensions caused the influence of the Norwegian monarchy to ultimately wane. In fact, for many centuries the Norwegian monarch did not even live in Norway. This was especially true during the days of the Kalmar Union, which united Sweden, Norway and Denmark. Sweden soon left the union, and Denmark ultimately centralized control over the Kalmar Union in their country. Norway spent many centuries fighting to maintain an independent kingdom. As a result of the Napoleonic Wars in 1814, Norway left its union with Denmark, but was given to the Swedes. Within a year, the Norwegian independence movement allowed the country to break from Sweden. Since then, Norway has enjoyed a prosperous history, continually pushing the boundaries of political and economic freedom. 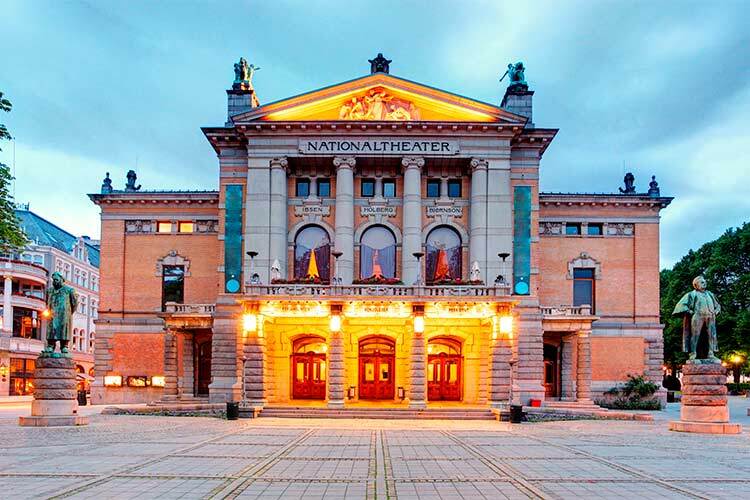 Oslo is widely considered one of the most attractive and expensive cities in Europe, which is truly saying something. Seeing as the city is the capital of Norway, it shouldn’t surprise travelers that the Royal Palace and other governmental buildings are some of the city’s more popular sites. Another popular attraction is the Oslo Opera House, which is thought to be one of the best examples of architecture in Oslo. More unique to Oslo is the Holmenkollen, an enormous ski jump that’s been continually used and rebuilt for more than 100 years. Each winter, Holmenkollen attracts more than a million visitors, making it one of the most popular tourist attractions in the country. Oslo is also known for its numerous parks. Frogner Park is undoubtedly the best known, as it is filled with hundreds of sculptures and two museums. St. Hanshaugen is also a popular park that offers unparalleled views of the city. Lofoten is an archipelago found in northern Norway and is considered one of the most naturally beautiful areas of Norway. The numerous islands create a number of fjords, which in turn house plenty of small fishing villages. Lofoten is also the home of the infamous Moskstraumen, or the Maelstrom. This enormous whirlpool is quite impressive, though very dangerous if you find yourself in the water when it begins to form. Lofoten is also at a high enough latitude that it experiences the Northern Lights for most of the year. This, of course, also means that the region experiences the phenomena of the midnight sun, when the sun does not set between May 26 and July 17. Conversely, it is nighttime continuously between December 9 and January 4. If you come during the summer, Lofoten is also home to a number of white, sandy beaches, including the popular Utakleiv and Hauklandsstranden areas. 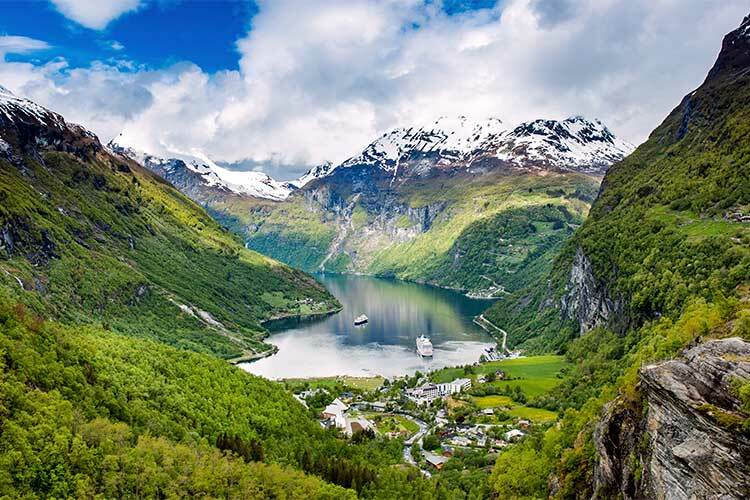 Geirangerfjord, and the accompanying village of Geiranger, earned their place as a UNESCO World Heritage site due to the area’s extremely beautiful landscape. The fjord is surrounded by mountains and features a stunningly blue lake. The lake is said to hold a number of aquatic creatures, including dolphins, and visitors are highly encouraged to rent boats to explore this watery region. Geirangerfjord features a number of utterly stunning waterfalls, most notably Bridal Veil Falls. One of the most popular activities in Geirangerfjord is mountaineering and hiking, especially on the picturesque slopes of the Dalsniba mountain. 1) While in Oslo, be sure to see the fascinating Royal Palace. Likewise, don’t miss the historically important Akershus Fortress. Then, head over to the lovely Oslo Opera House to see the best in modern Norwegian architecture and art. After all this, you’ll probably want to relax in one of Oslo’s numerous public parks, such as Frogner Park or St. Hanshaugen. 2) In 2003, the coastal fort of Oscarsborg was converted into a public resort. Once known as a military stronghold, today Oscarsborg is mostly visited by tourists interested in the region’s history. Check out the tunnels of Oscarsborg for a unique experience, or go fishing for crabs on the coastline. The fortress also hosts a number of concerts and events throughout the year. 3) Stavanger features a number of attractions, including an interesting oil museum and a local art gallery called the Rogaland Kunstmuseum. However, the city’s most popular attraction is probably Preikestolen, or the Pulpit Rock. This natural attraction features a steep cliff, which ultimately breaks into a stunning fjord. 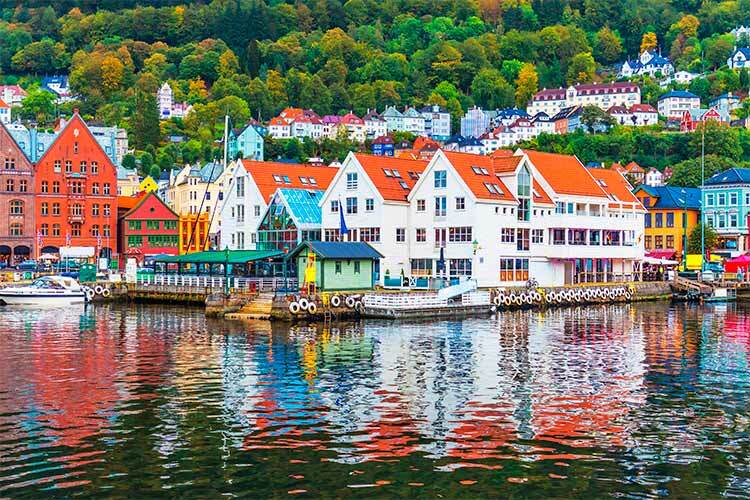 4) Bergen is well known for its music and arts scenes, and travelers would be mistaken not to stop in one of the numerous artistic venues around town to catch local performers at work. The city is also famous for its Byrggen Wharf, which features numerous buildings constructed from wood in traditional styles. Tourists in Bergen should also make a point of hiking around the city at one of the many popular natural destinations, such as Mount Fløyen. 5) Hiking, biking and other outdoors activities are the way to go when traveling in Geirangerfjord. However, travelers will undoubtedly want to charter a boat or go kayaking in the fjord water themselves to get a unique view of the area. Be sure to check out popular waterfalls like Bridal Veils Falls and the Suitor Falls. 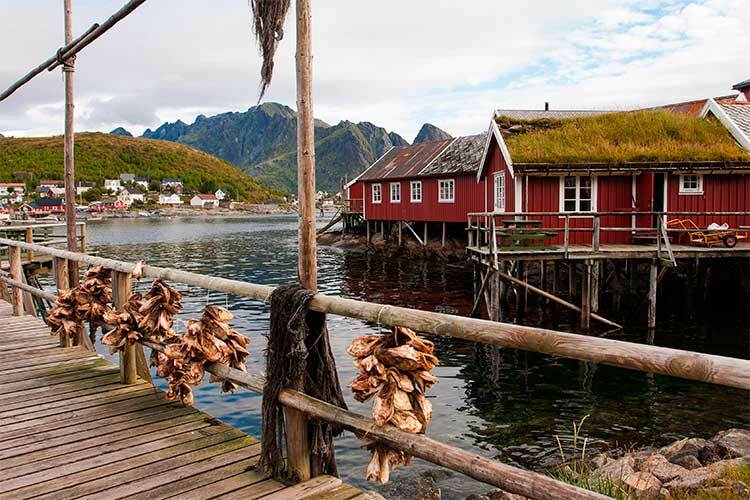 6) Simply spending time among the fjords and the fishing villages is the best way to take in Lofoten. If you’re lucky, you’ll be able to see the enormous maelstrom which occurs twice a day. 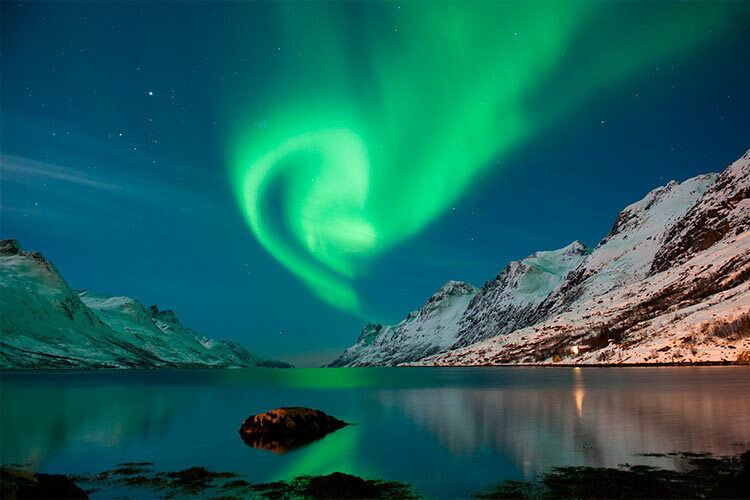 Lofoten is also a prime destination for witnessing natural phenomena like the Northern Lights and the Midnight Sun. 7) The only populated city in the remote Svalbard archipelago, Spitsbergen will act as your basecamp for some truly incredible experiences. 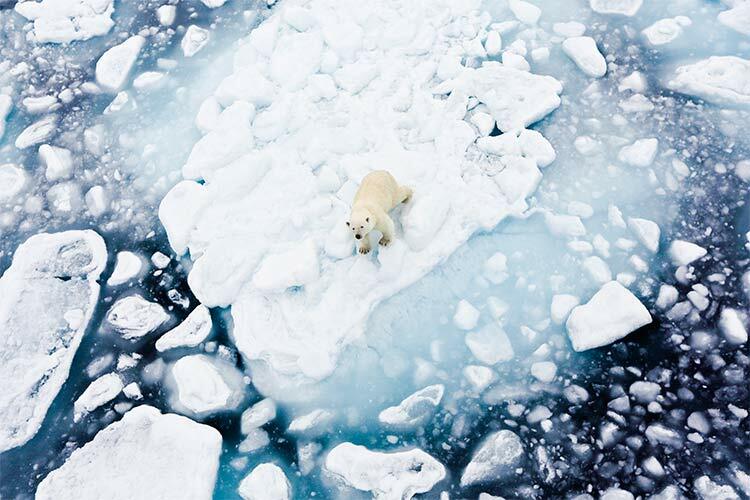 Svalbard is one of the best places in the world to see polar bears in their natural habitat and if you watch carefully and you might even catch a glimpse of the elusive Arctic fox.